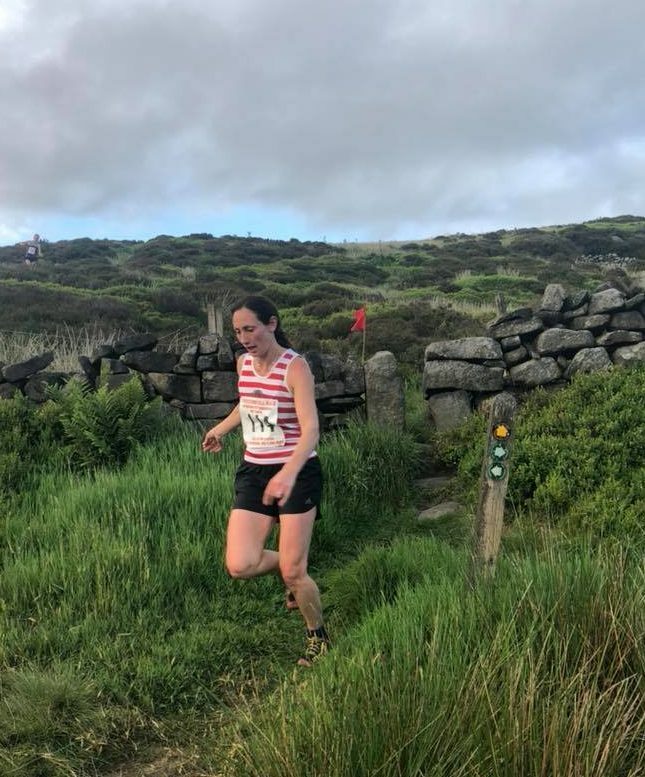 Many CV runners swapped their usual Tuesday night training for the Bridestone race last Tuesday. This short but steep course goes past the famous Bridestone and takes in some of the lesser used paths in the upper Calder Valley. With steep climbs, fast tracks and demon descents, it has something for everyone. Lee Shimwell and Jo Stevens were first Calders back and the club secured both the women’s (Jo Stevens, Barbara Lonsdale and Jackie Scarf) and men’s (Lee Shimwell, Luke Meleschko and Jonathan Moon) Team prize. Then on Thursday, all eyes were on the setting sun to acknowledge the passing of the Solstice. And what better way to celebrate than to run up to High Brown Knoll to watch the sun vanish over the western horison, surrounded by friends and good banter. 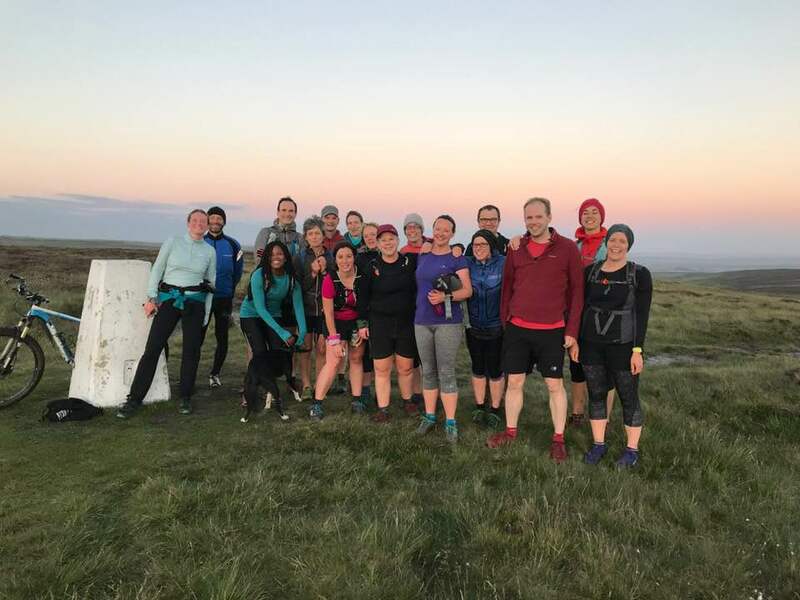 A new feature in the clubs Fun Runs, 2018 was the first Summer Solstice event and joins the more established winter solstice run as organised by the club’s solstice guru’s Tamsin and Jim Cooke. Always a good turn out, this year was no exception with 20 CV runners keen to race the sunset across the moors. Last Saturday saw 9 CV head to the Lakes to join the elite field competing in the Darren Holloway Buttermere Horseshoe. A 2018 English and British championship counter, this race is one of the toughest Lakeland races in the calendar and makes a fantastic day out over the quiet Buttermere fells. At 22.2 miles with over 8,300ft climb, this isn’t for the faint hearted. CV’s Karl Gray was first MV45 home in an impressive 4 hours 10 minutes. Matthew Roberts was second CV home in 04 hours 13 minutes. Carl Bell from Keswick was overall winner in 03 hours 45 mins with Todmorden’s Annie Roberts first lady in 04 hours 50 mins. “We planned this a few months ago. But last month my Dad suffered an aneurysm of his artery and has been receiving palliative care in a Marie Curie hospice since. The care and support they give in here is amazing and they rely almost solely on donations to provide the £100m they spend on care each year. Our hope was to raise £100 per mountain, but whatever we raised is a drop in the Ocean compared to the care and support they give to every family in need of their help.” Their day started with a 5.15am alarm call in order to make the 3000ft walk to the top of Snowden – just to start the challenge. 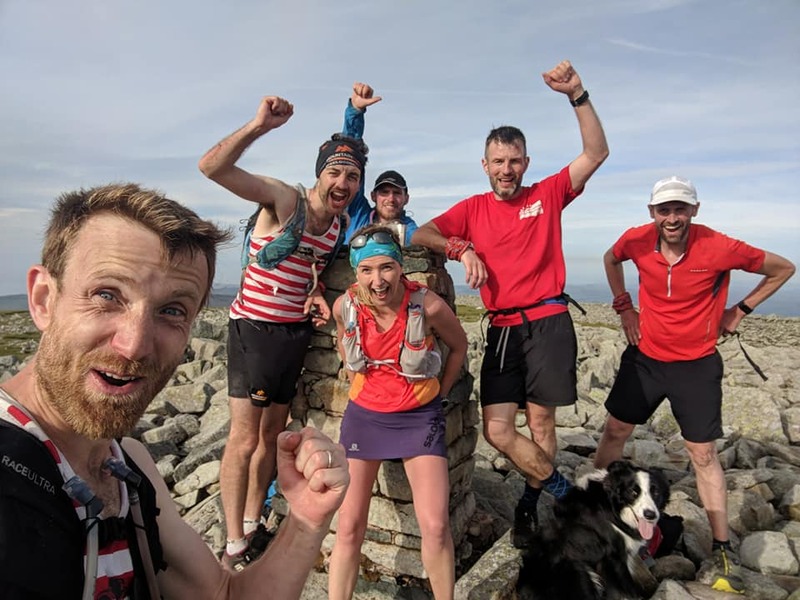 And 10 and a half hours later when the summit of Foel-Fras was reached it didn’t stop – they still had a 3.5 mile run back to the car! 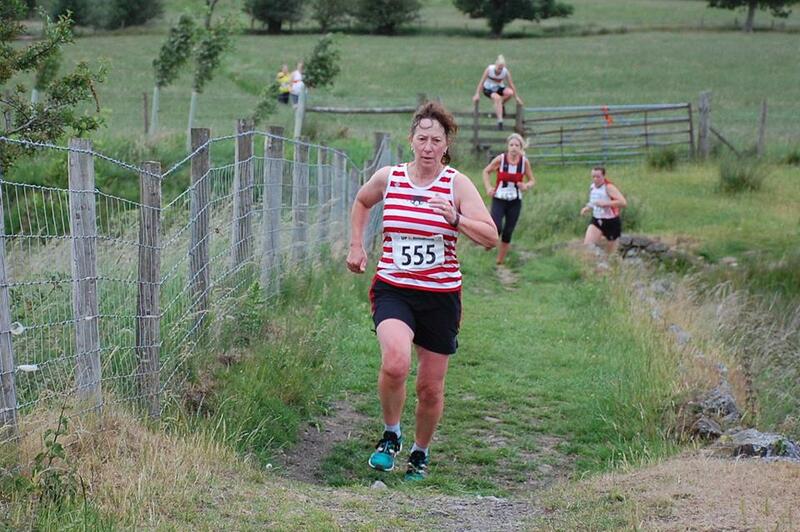 Elsewhere, Carole Fryer bagged another scoop for CV picking up the VL50 prize at the Sabden Trail race on Sunday.